Planting trees, grubbing out blackberry, pulling ivy all can be tough work; which makes our volunteers and the time they dedicate to the Partnership so valuable. But did you know that there is an actual dollar value attributed to volunteer hours? In fact, Independent Sector recently updated their estimate on the dollar value of volunteer time. These numbers – both a national average and one for each state – are widely used by non-profits throughout the country to quantify the impact that volunteers make. The national value is now $23.56/hour1, and the Washington state value is $28.99/hour. Over the years, the value of a volunteer hour has steadily increased, rising from $16.04 an hour back in 20012. 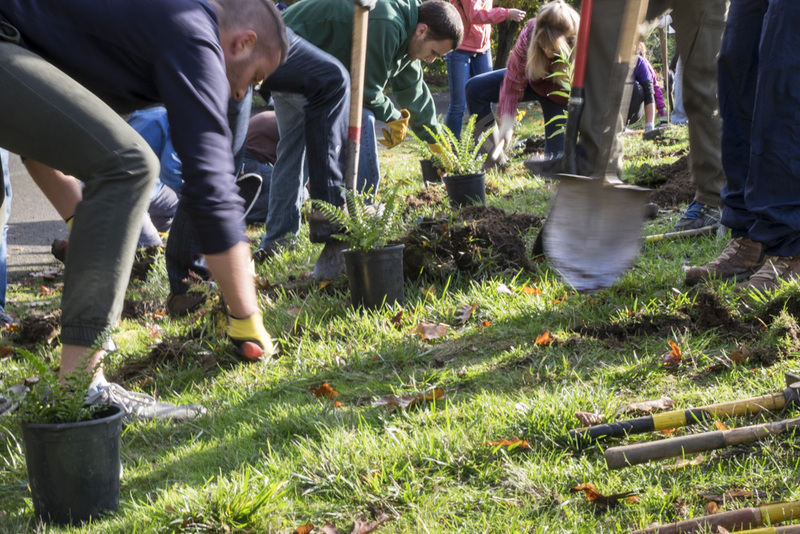 According to the Corporation for National and Community Service, about 62.8 million Americans, or 25.3 percent of the adult population, gave 7.9 billion hours of volunteer service worth $184 billion in 20143. These numbers are used to demonstrate volunteers’ support for a program, provide matching value for grants, and report out on program accomplishments. In 2016, the 72,506 hours that volunteers contributed to Green Seattle Partnership projects is valued at $2,101,948. Since we started tracking the program in 2005, 885,395 volunteer hours have been committed to the Partnership and are valued at $21,164,1974. We’ll let you take that in for a minute. The contribution that volunteers make to the Green Seattle Partnership, our parks, and our communities, is truly amazing. We could never accomplish so much without it. From a financial perspective, it represents a huge investment being made in the future of our urban forest. But what about all of the other, incredibly valuable, things that volunteers do, that a dollar amount could never capture? 2Historic value of a volunteer hour graph from Independent Sector website. 4Each year’s time is counted at the current year’s average value.